Day three of the UK Games Expo was our last chance to get around the show floor and see if we had missed anything. There was limited time on Sunday as the floor would close at 4pm. There would also be no open gaming at the Hilton afterwards, as there had been through the previous two evenings. Sunday morning was perhaps the busiest we had seen the show floor. The feedback from a lot of the publishers and shop booths was that they had assumed the punters who had been at the show all weekend had made their choices and were now ready to buy. As were we. Steven picked up some classics such as Catan, Carcassonne and Ticket to Ride. Ben picked up some Pokémon Cards for his daughter and a couple of family friendly games from TMG and Devir. 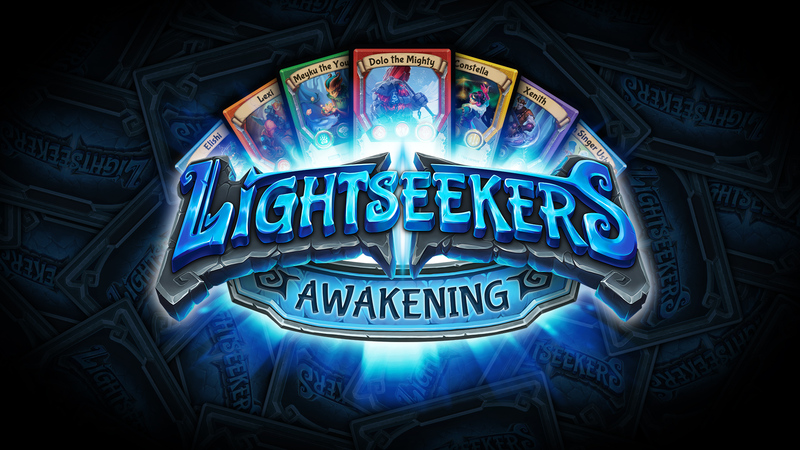 On the family friendly front, Ben also found Play Fusion and their product, Lightseekers Awakening. After managing to make his way through the very busy booth and grab the attention of Willie, he was able to learn some more about the interactive toys, app and Augmented Reality cards. “What we have is three separate products. The app works as a game. The toys are just that. And the cards work as a really great, in-depth collectible card game. However, the magic really happens when you bring all three together. The toys connect to the app via bluetooth and have sensors such as gyroscopes inside that let you control the flight of creatures on the iPad app. The app can recognise when you add different attachments to the toys so you can have different weapons etc. in the game. All the cards have a unique code on them that the Augmented Reality side of the app can recognise, and these can unlock new items or provide time limited buffs to the in-game characters.” Willie tries to show me one of the toys working, but all their booth iPads are being used and it’s clear that not all of the toys are working. 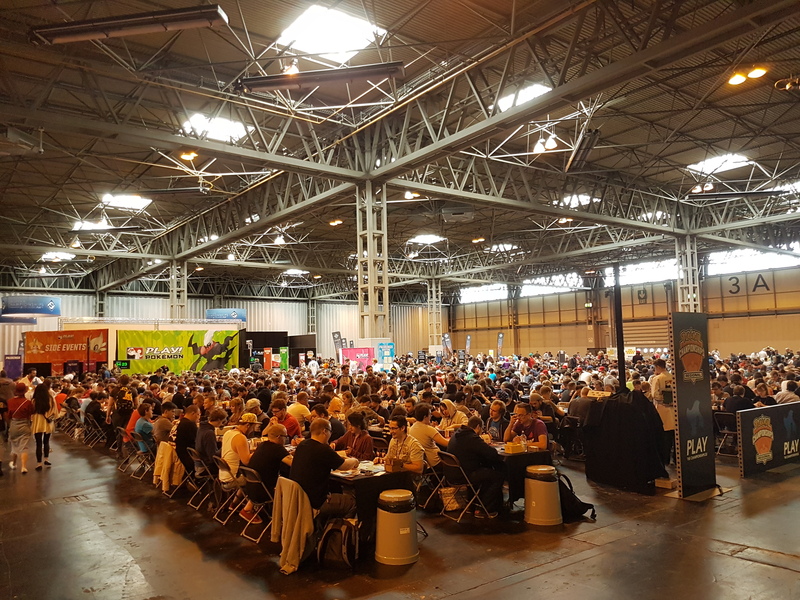 Sunday certainly seems to have been the biggest day for families attending the UK Games Expo. After the early morning rush of the weekend punters coming in to buy games, the attendance in the hall eased off and it was mostly families that were left behind. This was evident as the busiest booths were those with family oriented games, such as Mayfair and the stalls that were selling Pokémon cards and the likes. Open gaming also bustled with families throughout the day. Every exhibitor that we spoke to was keen to express that they would be back next year, and each one of them hoped for more space or a better position within the hall. Michael Pearson, Press-Media Manager for the UK Games Expo, alluded this also. We asked Michael about the attendance numbers, quoting the rise in figures from 14,000 visitors (c7,000 unique) in 2015, to 25,000 (12,500 unique) in 2016. UK Games Expo 2018 has in fact just been announced. Indeed they have booked out Halls 1&2 of the NEC, giving them over 40% more floor space than in 2017. We haven’t had the numbers confirmed yet, but Wikipedia suggests that the 2017 attendance was 31,000 across the three days (16,500 unique), which is not quite the 40% that Michael predicted, but is still a steady rise in numbers. With just an hour left of the show floor being open, attention was focused on the Main Stage. Attendees had the opportunity to vote throughout the weekend on a variety of awards, and now was time to reveal the winners. This would present the chance for developers to shout out their game had won an award, hoping to catch a few more sales before the end of the show. (See the bottom of this post for the award winners). There was more competition to be had than just between the game developers. Throughout the weekend, a variety of competitions had been hosted in Hall 3A, and Sunday saw the finals coming to a close. Steven had stuck his head in to check out the action on Saturday, and the tables were packed with competitors. With competitions in Hey, That’s my Fish! Ticket to Ride, Star Wars Armada and more, there was something for everyone. Some of these contests, such as the Catan one, were the National Championships. Victory would gain you entry into the World Championships held later in the year. 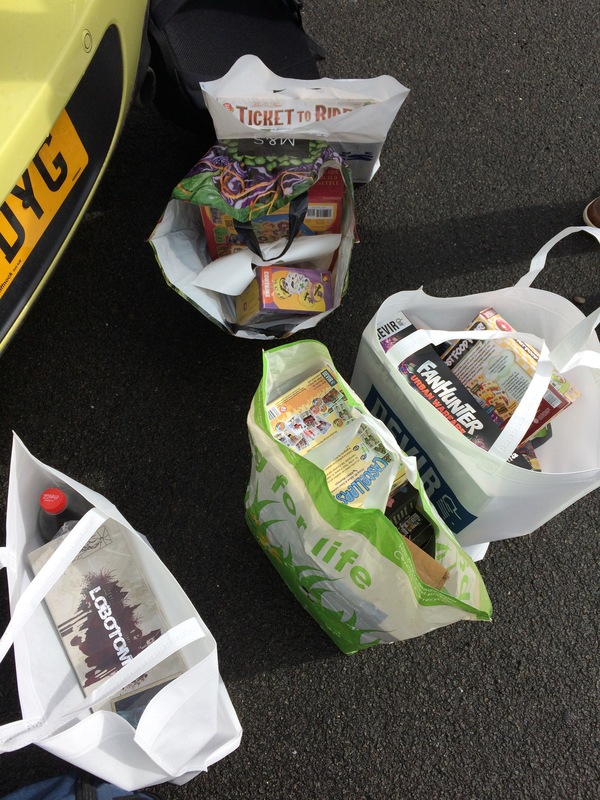 As the UK Games Expo came to an end everyone was heading off back to car parks or public transport hubs with bags full of games, us included. Strangers were chatting at bus stops, comparing their loot, and everyone was in good spirits. We began our 5 hour drive back up to Glasgow and talked board games for most of the journey. 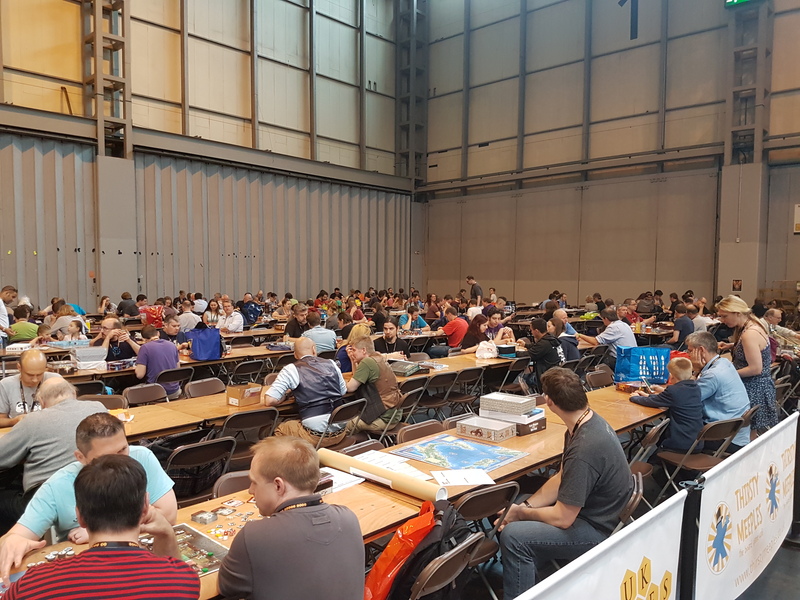 I totally underestimated the UK Games Expo in both its sheer scale and in the variety of stalls and events that were on hand. As mentioned earlier, UK Games Expo 2018 has already been announced and I think it is safe to say that we already can’t wait for next year! In the mean time, look out for some upcoming board game reviews on the website.